My phone buzzed. I was somewhere in Iceland. More than ten miles from my car and any other human being. Holding a phone with a dying battery. I turned it on to check Google Maps. “Spotify added 2 tracks to the playlist Afternoon Acoustic”. Perfect timing. A ping from Periscope: “@kayvon wants you to watch …”, two new emails in Mailbox, a new Twitter follower, an @channel ping on Slack. Nine notifications in total. None vaguely important when I was stuck in the wilderness with 2% battery, a volatile internet connection and a real need to load that freaking map. Despite all of the advances of the past 20 years, notifications are still stuck in 1999. Countless articles, companies, products and conferences have recently been dedicated solely to the topic. There’s plenty of evidence to suggest notifications are broken, but they won’t stay that way for long. How can they be fixed? What does the future of notifications look like? From Google search to Facebook’s newsfeed, algorithms analyzing massive amounts of data make decisions about what we see online. 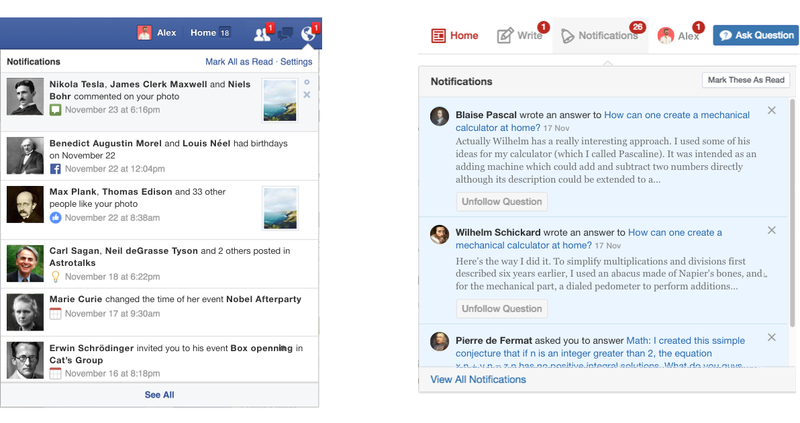 Self-learning algorithms are driving other products like Google Now and Facebook’s recently updated notifications tab. 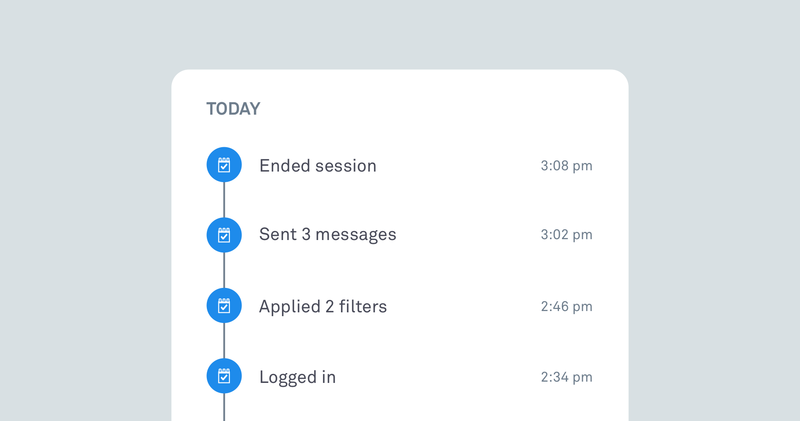 It’s still early days for smart algorithms in notifications but luckily the data needed for intelligent, predictive notifications is already available. The spread of social networking made the concept of sharing our personal data frictionless; why fill out boring sign up forms when you can instantly log in with Twitter or Facebook? Even if by its nature a product is not inclined to data collection (think iA Writer vs Facebook), a lot of data can be extrapolated from the way people use it e.g. At what time of day someone usually logs in? How much time do they spend there? Is there a correlation between those timeframes and high engagement? What are the other interests of this user? What other products do they use? How do they use them? Are there any common patterns in that usage? We may already have a solution to privacy concerns. In Google’s recently announced smart autoreply feature, humans are not allowed to read all the private correspondence of users. Machine learning algorithms, on the other hand, are. If we can gather and analyze all that data what would truly smart notifications look like? At a minimum they would be helpful, personal, time-sensitive and relevant. Instantaneous is not always best. 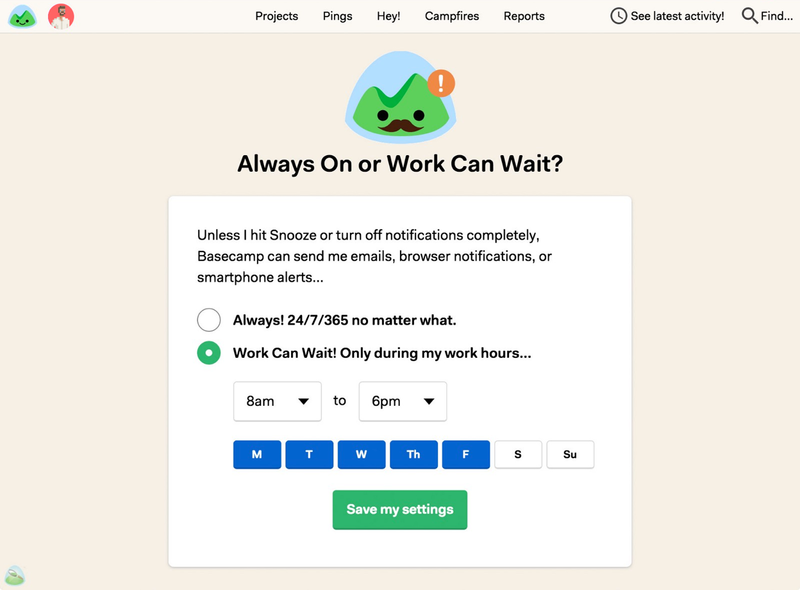 One of the most interesting features of the recently launched Basecamp 3 is Work Can Wait, which gives users the ability to choose the hours during which they want to receive notifications. Date night with your partner is probably not when you want to be pinged by a colleague in a different timezone starting their workday. Notifications at the wrong time are worse than useless. Irrelevant pings not only get ignored, but the noise they create dilutes focus, causes frustration and a false sense of urgency. Future notifications will do this automatically. A predictive engine will extrapolate from the contextual data what is the best timing for a ping, and so let you enjoy that date night. Geodata is important for understanding the context of what a person does. If someone is on a boat twenty miles offshore in Montenegro, it’s not the best place to be notified about a one day sale at IKEA in Dublin. Lots of applications are already using geodata in smart ways. For example when Foursquare notices you are in a new place, it sends useful tips about it. 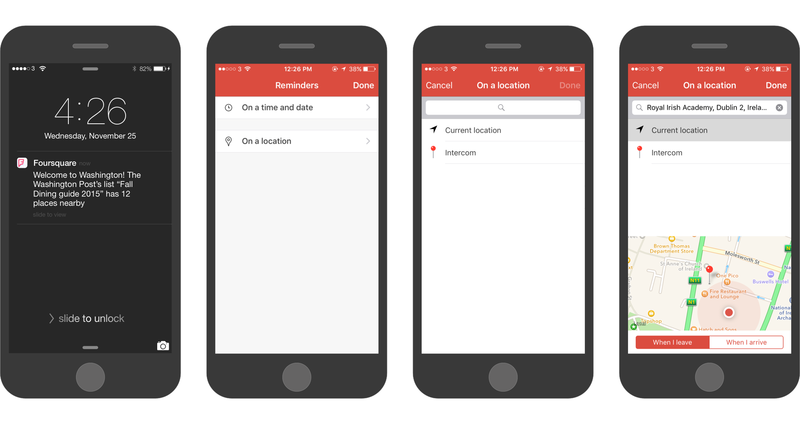 And many to-do apps notify you about tasks when you are at the location best suited to getting it done. Like every push-based system, notifications as a medium are extremely fragile. If a service is overusing them, users get overwhelmed and shut them down. Even if the pings are good and useful, too much is too much. That’s why grouping will become more important. Think of the way Facebook bundles similar notifications, e.g. how many people liked your photo. 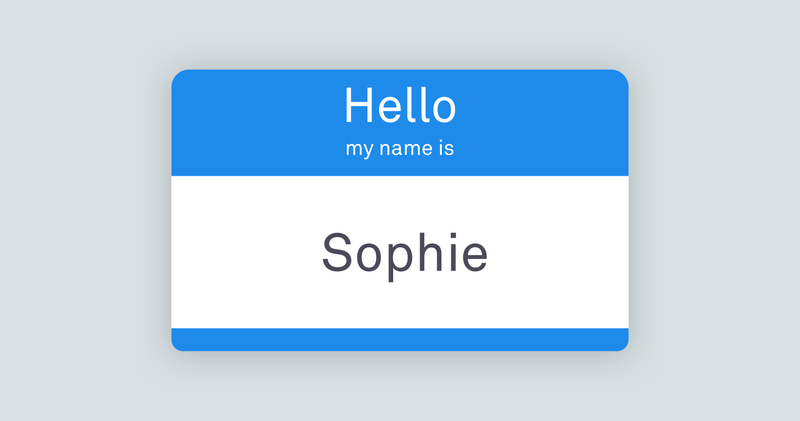 A couple of names and a number is shown, and if the user wants, it’s possible to dive into the details. In contrast, Quora not only dumps all notifications on you, but requires you to actually look through each one, even if they are exactly the same. 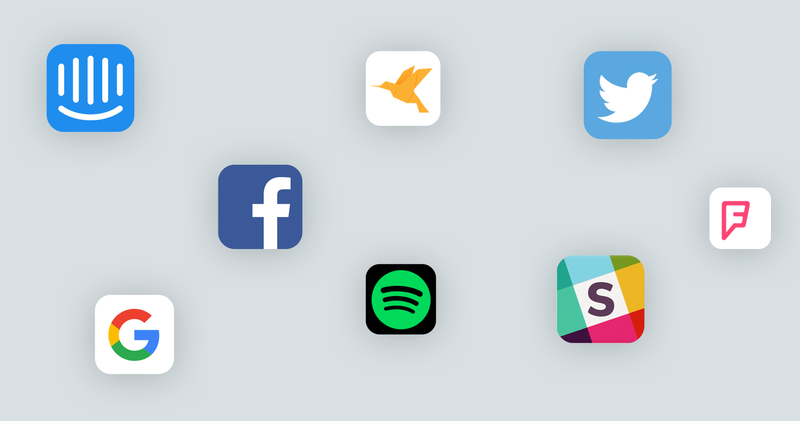 Taking this concept to the next level, smarter notifications could have a gradual grouping. If you usually get less than ten likes per photo, you would probably want unique notifications for each of them. If the average is thousands, pinging you when a hundred likes are accumulated would be better. You could also be specifically notified about actions from close friends and family or really influential people. 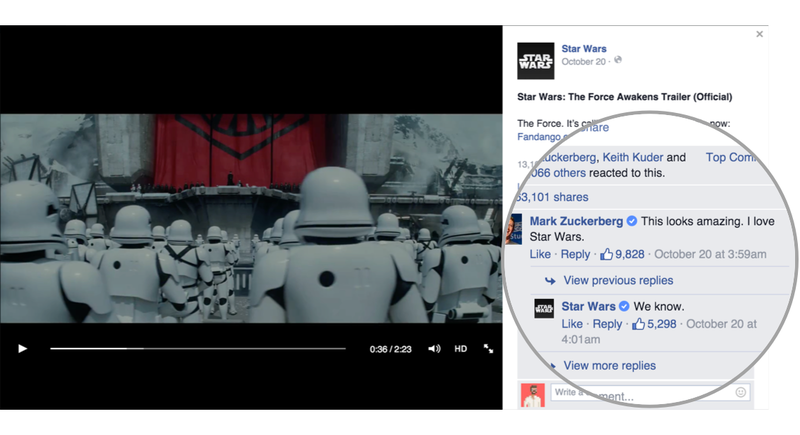 Hey, if Mark Zuckerberg commented on your post, you’d probably want to know right away? Although every user is unique, you can’t build everything for everyone, so compromises have to be made. Notifications that react intelligently rather than having dumb defaults can help provide a layer of product personalisation. Based on the way you usually interact with content, better wording and structure choices could be offered. How do you normally react to notifications of new photo likes? Do you just glance at them? Or do you actually go deep into each and every notification. Depending on the default behavior you may see notifications structured differently. At Intercom we are constantly communicating with our customers. When we do product research, we never ask all of our users the same question. We send targeted messages to people who are best positioned to answer. For example, if we plan to improve the exporting functionality, we choose people who exported data in the last two days to ask if there were any blockers in doing that (while their memories are still fresh). A message sent to the right user gets a higher response rate, provides really useful feedback and prevents other users from feeling overwhelmed. With all the combined data, smart notifications would be able to focus on the right user and turn down the noise for everyone else. Smart notifications will feel more like a note from your assistant or another human being. Contrast that with a system notification which appears as a little bell icon on the top of your screen. Should they merge? Should they have the same packaging? Should products have a personality? Humans have a psychological phenomenon called pareidolia, where we see human-shaped objects in everyday things. We see human faces in the pattern of clouds, animals in our cartoons act like people and robots in our sci-fi are human-shaped. We tend to relate to bots, whether it be Siri, Cortana or M (it was a huge miss by Google to deprive Google Now of personality). A notification from a bot actually feels much more personal when it’s written in human language by someone with a personality of their own. Messaging is just getting started, but it will become so impactful, it will eventually consume notifications as we know them. No matter how smart the predictive intelligence is, no matter how good the gathered data is, feedback loops will always be needed. Zima Blue, a beautiful short story by British sci-fi writer Alastair Reynolds, includes a discussion on the nature of predictive intelligence. Imagine you choose white wine rather than red for a sunny afternoon drink with friends, and enjoy it far more than you would have your usual choice. The algorithm would not attach any significance to that one happy combination of circumstances. A single deviation wouldn’t affect its predictive model to any significant degree. It would still recommend red wine the next time. But your memory would latch on that exception and amplify the attractive parts of it, so the next time you might choose the white, and the time after. An entire pattern of behavior would be altered by one instance of deviation. The algorithm would never tolerate that. It’s obvious, notifications can’t stay the way they are for much longer. They are disengaging. They are intrusive. Nobody loves them. At the same time, all the data required for the creation of smarter notifications already exists. 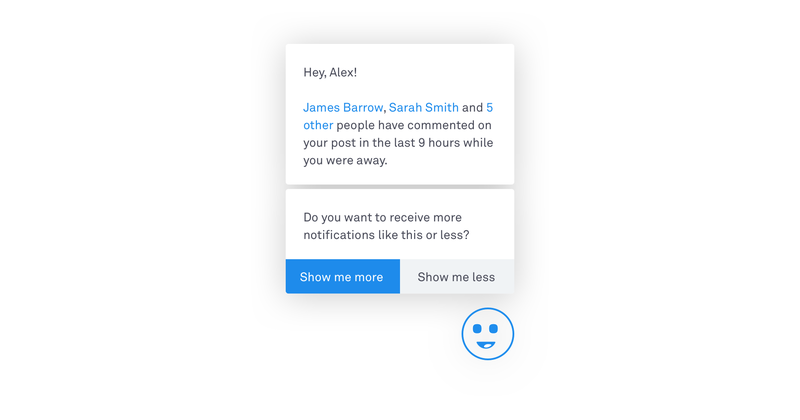 There are products trying to use that data properly and which suggest a path for how notifications can start to provide value and be truly helpful. I only hope that the next time I pull out my dying phone while lost in the wilderness, it’s because my little robotic sidekick is rushing to provide me with directions. Written by Alex Potrivaev, Product Designer at Intercom. This post first appeared on the Inside Intercom blog.